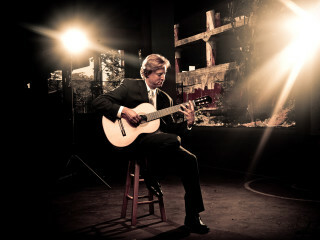 Grammy-winning classical guitarist Jason Vieaux returns to Houston for a solo guitar performance presented by Guitar Houston. Vieaux will take audiences on a classical guitar music journey around the globe with a program featuring Domenico Scarlatti’s Sonata in A major, K. 208; Mauro Giuliani’s Variations on a Theme by Handel, Op. 107; J. S. Bach’s J.S. Bach's Violin Sonata 1 in G minor BWV 1001; Isaac Albéniz’: Asturias and “Cuba” from Suite Espanola, Op. 47; Pat Metheny’s In Her Family/Antonia (arr. Vieaux); and José Luis Merlín’s Suite del Recuerdo. There will be three performances: October 25 at San Jacinto College in Pasadena, October 26 at Lone Star Montgomery College in The Woodlands, and October 27 at Emerson Unitarian Universalist Church in Houston.